Fantastic opportunity in Fort Garry! A wonderful family home within walking distance to multiple schools and great shopping. East Ft. Garry is one of the best neighbourhoods in all of Winnipeg. 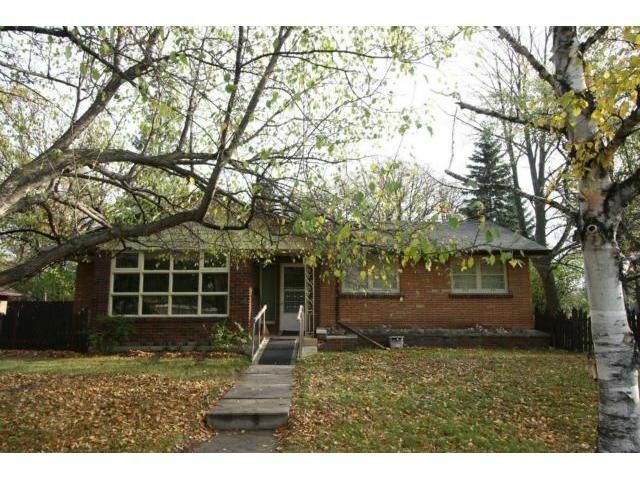 The house is a spacious 1300+ sqft bungalow on a large, semi-secluded lot with mature trees. It has 3 bedrooms, 2 bathrooms, large eat-in kitchen, great curb appeal, wood fireplace, custom layout, big front picture window, double garage with auto door & opener, full basement with rec-room, cedar closet, storage room. The most recent upgrades: Some plumbing (10), garage door & opener, & fresh paint! The house is priced under $200k/sq foot. A great deal! 80% of all millionaires became so through real estate. Get in on the main floor! !